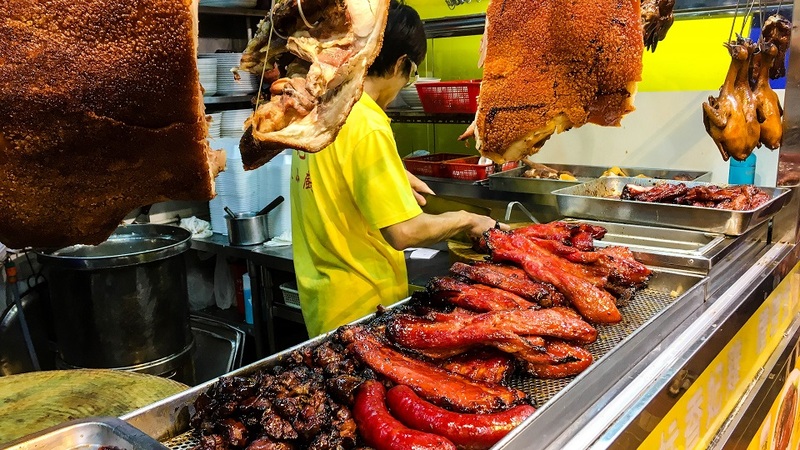 What Makes The City Of Hong Kong So Different? What Makes Hong Kong So Different? Hong Kong is a city that everyone has heard of. It is considered a global city and is a major hub for business, and while it is “owned” (in a sense) by China, it has its own legal system, currency, and flag among other things. But what is it about the city that draws so much attention for travelers and city lovers alike? While it may not be as big in size as Tokyo when it comes to population or land area, it certainly makes up for it with architecture. Hong Kong is home to some massive skyscrapers and countless high rise apartment buildings; these things are everywhere! If you’re not a fan of the city life, this is possibly the last place on Earth you’ll want to visit, but if you’re like me and love big cities and culture, this city is a must for you to visit. It’s also considered by many to have the world’s greatest skyline which I have to agree with out of all the places I’ve been so far. Random Fact: While the city of New York might be a common first thought when someone says “skyscrapers” (any building over 492ft tall (150m)) it actually has only 242, compared to the impressive Hong Kong skyline count of 315! Making Hong Kong the current king of skyscrapers. 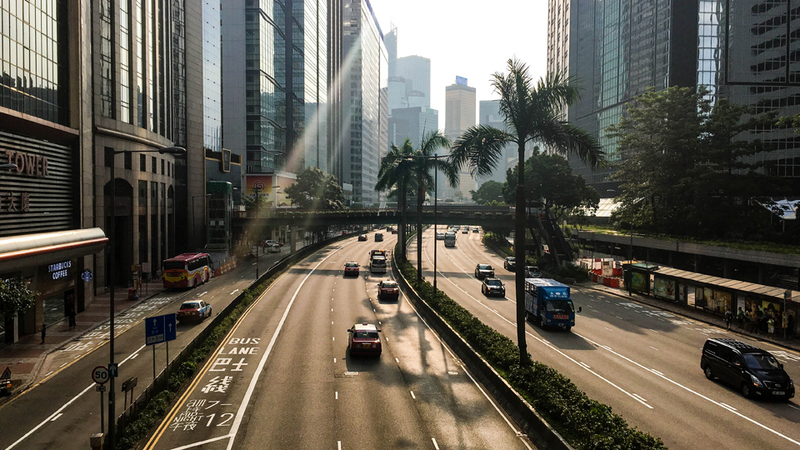 The city of Hong Kong is not just big, but also very aesthetically pleasing as it mixes gardens, palm trees, and small little rivers and waterfalls in between its busy streets and buildings. But its buildings are also a view to see as well as they use the most modern architecture and design to make these structures into more than just places for people to work. 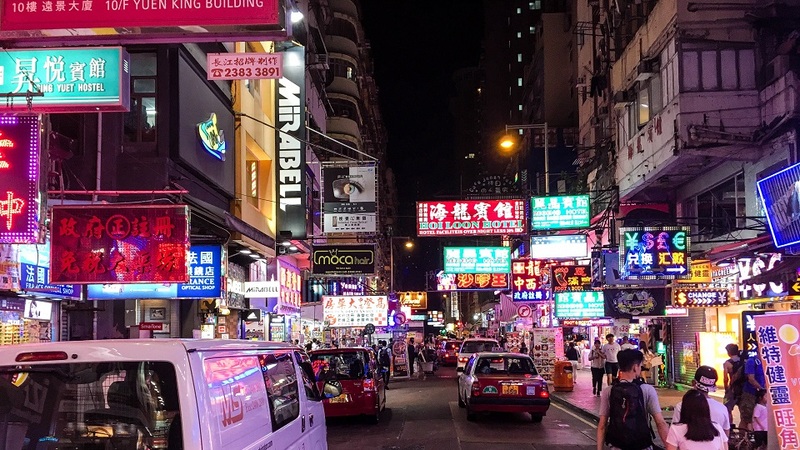 There are also countless businesses that call Hong Kong home which makes it a popular hub for international travel of not just backpackers or tourists, but business workers as well. At night the city lights up and shows off even more buildings than you will probably see during the day. This also gives the city a rather safe feeling in my opinion as there is almost always lit streets everywhere you go. Hong Kong gave me a somewhat similar feel that Japan did when I arrived; it’s easy to get around and there’s an overall feeling of safety. The city is also pretty clean as well, though like most cities, some areas are much cleaner than others. Oddly enough though, the best view of the city of Hong Kong is actually across the river from the city of Kowloon. Random Fact: Hong Kong has historically been the world’s leading city with the maximum number of Rolls-Royce luxury cars per capita. In addition, it is also considered to be the largest metropolis for luxury goods and status symbols in Asia. Speaking of feeling safe at night, another impressive design feature is Hong Kong’s layout of its subway system which is the MTR. The MTR will take you to all the major locations, and without you even knowing you’ll be traveling underwater in one of the subway tunnels when traveling between Hong Kong Island and Kowloon. The MTR isn’t very expensive either, but it’s also not the cheapest option available. Another option are the street trams which may make you think you’re in San Francisco’s Chinatown, not to mention the fact that Hong Kong is built up against a small mountain range adding to the “San Francisco” feeling as many of the streets are up/down hill. These are by far the cheapest way to get around without walking, and they will stop more frequently than the MTR which means you can easily use a combination of both (many tram stops are also located near MTR stations) to get to specific places. I did this rather often, but not because it was so convenient, but because I liked the experience of riding on the trams upper level to have a great view of the city! 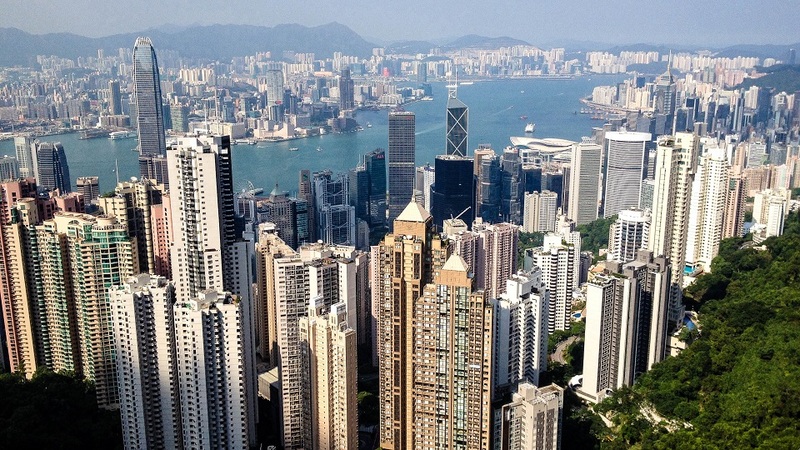 Random Fact: In addition to the 315 skyscrapers in Hong Kong, it also has over 7,800 “high-rise” buildings and over 1,200 near-skyscraper buildings (any building over 100m or 328ft tall but under 150m or 492ft tall). Taxis are also available at all hours which means if you’re out a bit too late you’ll need to resort to one of them. I fortunately never needed to use one as they are the most expensive mode of transportation. But if you have the money to spend, they’re probably more pleasant than the crowded subway cars and trams! There are also buses that run all over the city that are rather new and most being pretty luxurious. I noticed there were also the option of light buses which appeared to be only 1 level and very old, I avoided these just because they were uninviting in my opinion. Chinese food in the US might be good, but it’s not actually Chinese food. It’s inspired by it, but when you try Chinese food in a place like Hong Kong, it’ll drastically different. 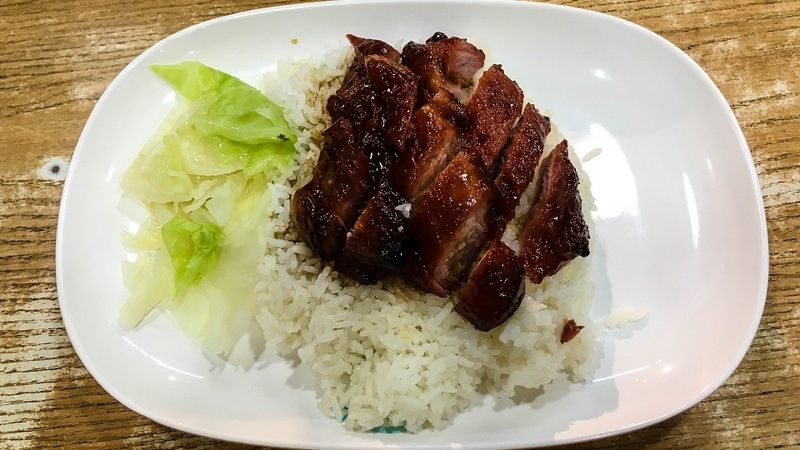 Below is BBQ Chicken with Rice, and I can assure you that it tastes nothing like American BBQ at all; it is more like spiced honey on extremely juicy chicken. You bite into it and the juices will actually squirt out on your first bite. Then the BBQ hits your tongue with this sweet, savory, and slightly spicy addition which you should then follow up with a good amount of rice which helps extend the flavor. And all restaurants I attended used sticky rice; I believe the reason for this is that sticky rice is much easier to eat with chopsticks; and no, I did not see one single fortune cookie. While a good amount fo restaurants will offer a spork if you request, most of the local places only have chopsticks. Yes, there are plenty of restaurants in Hong Kong that cater to international visitors, but I avoided these for 2 reasons. Reason 1: I wanted to eat authentic Chinese cuisine, and 2: The local places are much cheaper than those made to cater the internationals which are mostly business men and women who aren’t too concerned about spending a small fortune on their meal. And Hong Kong is already expensive enough, so avoiding further spending is a good idea. Random Fact: Hong Kong has a population of over 7 million people occupying a small mass of land, making it one of the most densely packed areas on Earth. Of course, after you experience a great meal you should follow it up with a great dessert! I found an ice cream place that was rather unique, not just with the flavors, but also how they presented the ice cream. 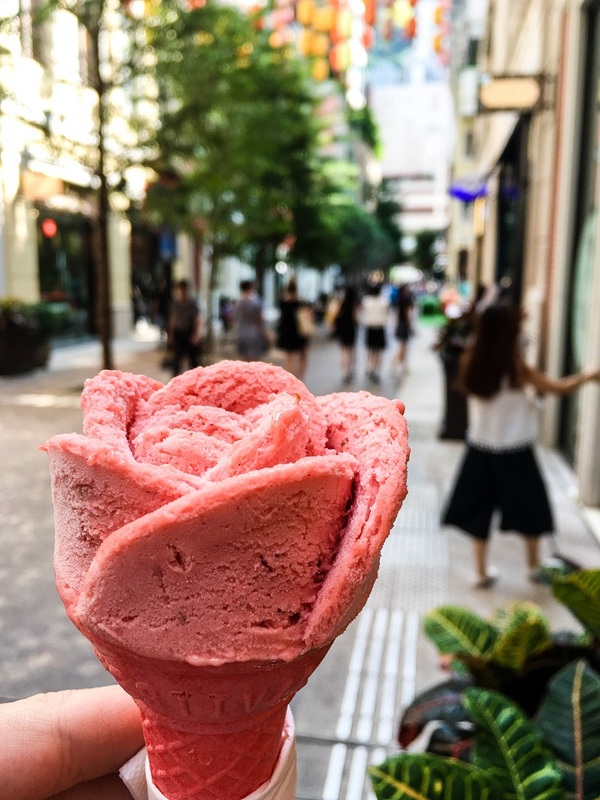 Below is a shot of my dessert which was Rose flavored ice cream (made from actual roses) and is served in a rose shape. I watched them do this and still can’t explain they method they used, the scooper was a bit odd, but it seemed to mainly be just pure talent and experience to pull it off! No place is perfect, and while Hong Kong comes pretty close to perfect for me it does have a few downsides. The biggest issue that I believed brought the overall rating down for Hong Kong was a lack of manners. Things like standing in line doesn’t seem to exist in Hong Kong, getting on the subway means that people will ram into and past you without so much as an “excuse me” or “dui bu chee” just so they can get to a seat. They don’t seem to care if they knock over anyone else, just as long as they get a seat. And even when there aren’t any seats they trample over anyone in there way as well. Random Fact: The number of mainland tourists to the territory has surged from 4.5 million in 2001 to 28 million in 2011, outnumbering visitors from all other countries combined. Another issue is one that I also ran into in Singapore as well, though this is an issue with any massive popular city which is pricing. Hong Kong is among the most expensive places on Earth, however since it’s so close to China you’ll find quality electronic products rather cheap. Want to get a new iPhone? Despite everything else in Hong Kong costing a small fortune, there’s a good chance you can get an iPhone (not a knock-off, an actual iPhone from a fully legit Apple store) for cheaper than almost anywhere else! So if you do plan to go shopping in Hong Kong, try to aim at just electronic goods, and don’t stay long because lodging is also pretty steep in price. Other than that, I don’t have any complaints about Hong Kong. You can easily wander the streets at night without feeling threatened, many fast food joints are open 24 hours, and taxis are always operating, so all basic needs are met conveniently here. Though if you’re on a budget like I always am, you won’t be staying in Hong Kong very long. So book your hostel ahead of time and stick to local eats or cheap fast food. While I’ve always looked down when someone says they traveled to *enter random location here* and ate at Burger King, it is sometimes understandable in places like Hong Kong and Singapore when you’re trying to save money. A big upside to Hong Kong though is that, unlike China, Hong Kong is very accepting of international travelers and is one of the easiest places to gain access to. It even offers a frequent traveler pass for those who visit rather often! It also isn’t part of the famous “great firewall of China”, so you basically have normal internet access like you would in many other countries. After my visit here I would certainly consider coming back if my future budget allows me, there is plenty to see and do and the nightlife can be entertaining as well. I got to check out the 3D laser lightshow as well during my visit! Standing back and watching the city light up at night is also entertaining, the newer buildings have light shows of their own. 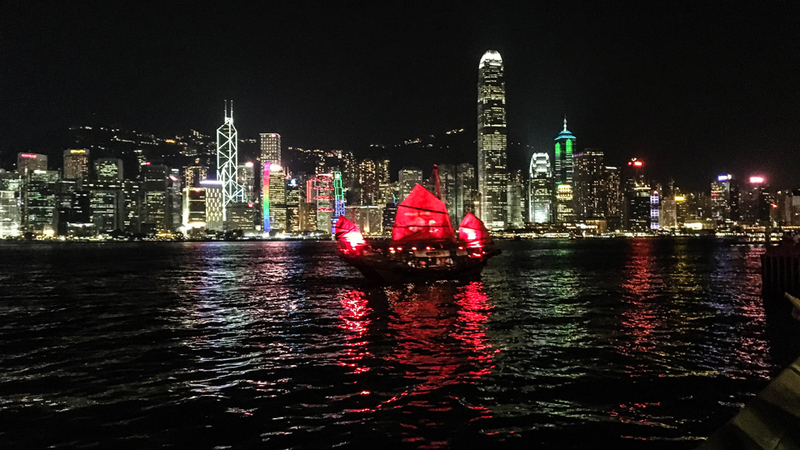 And if you feel like taking a ride on one of the red boats to get a view of both Hong Kong and Kowloon from the water you can do that as well! The boat rides and the occasional local musical artists performing can be found near the large Ferris wheel along with some food trucks! While most of the activities I did are free so I could stay on budget, there are plenty more activities you can for a price. There are countless high-end restaurants, night clubs, and bars all over the city and some areas are more directed at backpackers as well. I also spent an afternoon in the more rural town of Tung Chung which is on Lantau Island and is full of mountains and curvy roads. I walked down several paths which seem to go into the middle of a forest and most eventually opened up to small temples. I took a few pictures of the mountain ranges as well since the island is riddled in rough hilly terrain, however it was pretty cloudy and most of the mountains were covered in clouds. 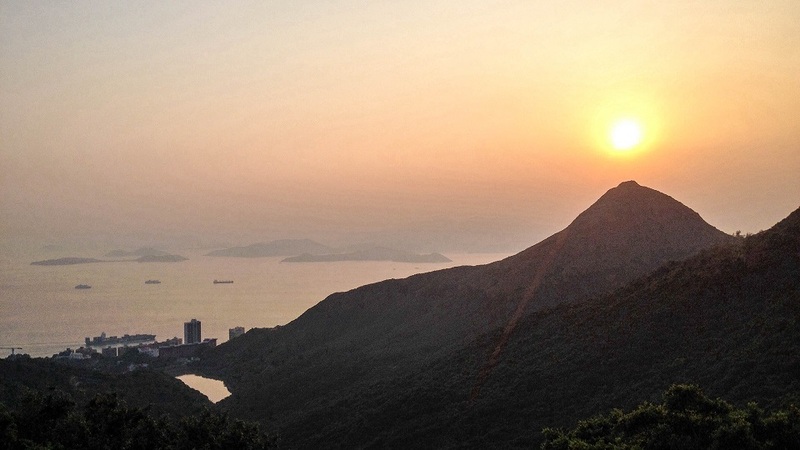 But if you want a more nature-based adventure, then Lantau Island is certainly a place to check out! I’ll end this post with the picture above which was taken viewing the south end of Hong Kong Island. Thank you for reading and check back soon for my article on Macau which I did a day-trip to during my stay in Hong Kong! These are some really interesting facts about Hong Kong which I haven’t known until now.